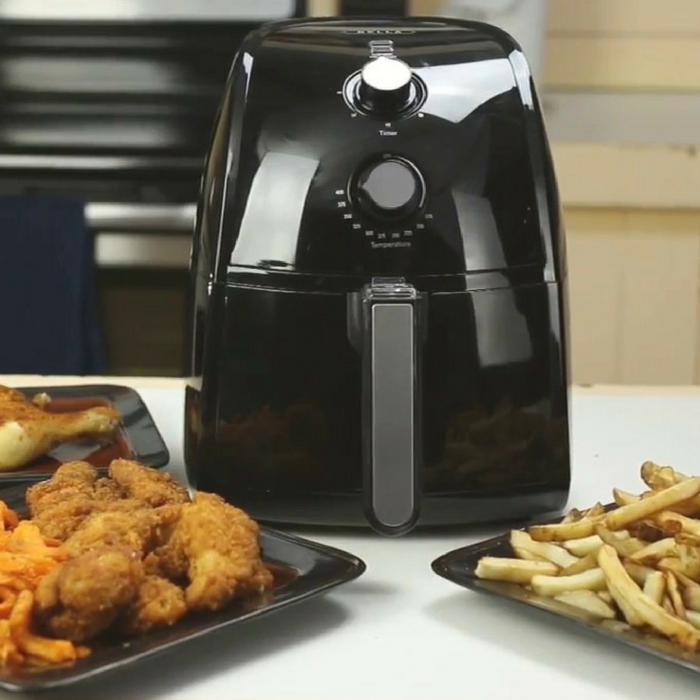 Air Fryer Just $39.99! Originally $99.99! You are here: Home / Great Deals / Air Fryer Just $39.99! Originally $99.99! At Macy’s, you can score this Bella Air Fryer for only 39.99! Originally $99.99! Plus enjoy FREE Store Pickup or get FREE Shipping with any Beauty Purchase or on orders of $99 or more. Whatever you can deep fry, you can do that with air fry! Air frying is safer and healthier. With no oil at all, the Bella Air Frying can make crispy French fries, chicken nuggets, and onion rings. Cook with little to no oil or baking a small cake. This Bella Air Fryer can heat things quickly and it is also easy to clean.